If music be the food of love...: 'S marvelous! 'S awful nice! 'S paradise! 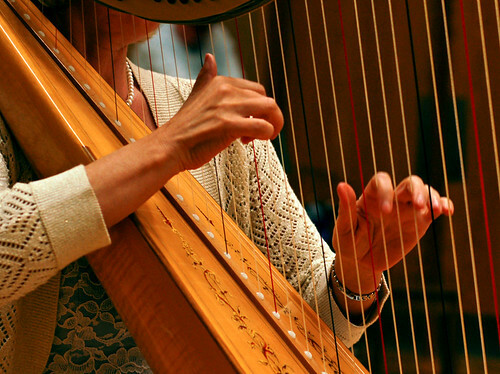 In the Ceremony of carols by Britten there is an interlude for solo harp when the choir was allowed to sit down to rest. I sat in a choir pulpit right in front of the harpist and was enthralled by the graceful movement of her hands on the instrument. In the Benedicite by Carter we were all charmed by the excellent diction of the children’s choir that sang with us. Despite standing from behind, we still managed to understand the delightful story of all the terrapins, dromedaries, ferrets, squirrels, badgers and hedgehogs that bless the Lord. Throughout most of the concert a small girl kept dancing at the other end of the church from us, framed by the main West door. It was a very poetical and danced interpretation of our live singing. These are some of the wonderful things that can happen at a concert by the Nairobi Music Society.